Being a good neighbor is about more than just being there when things go completely wrong. It’s also about being there for all of life’s moments when things go perfectly right. With a passion for serving customers and giving back in our communities, State Farm Insurance has been doing well by doing good for almost 100 years. Carney Insurance Services is a Forest Lake, Minnesota independent insurance agency that specializes in business insurance, auto insurance, and homeowners insurance. With access to over 50 insurance companies, Carney Insurance Services is able to give you access to the best prices on the most comprehensive coverage. With 80+ years of experience, Carney Insurance Services can handle all of your insurance needs! Call (651) 464-6001 to get started today, and let them do the shopping for you! As your American Family Insurance agent, Melanie Berneck can offer you dependable auto, home, business, health and life protection. SF Insurance Group operates under the belief that you shouldn’t have to compromise on insurance coverage to get a rate that you can afford. As an independent insurance agency, at SF Insurance Group we always look out for the best interests of our customers. 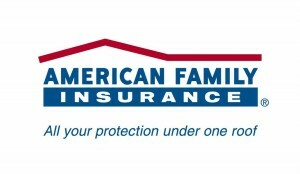 Our experienced insurance agents take the time to understand the unique insurance needs of each and every business, family or individual who walks through our door, then they go to work; shopping rates from many of the nation’s top insurance companies to find our customers the coverage they need, at the best value. Because SF Insurance Group does all of the shopping and comparison to find you the best value on the insurance protection you need, they take the hassle out of protecting your property, home or business. If you’re interested in saving money on your insurance coverage, please contact us or call one of our experienced agents today. 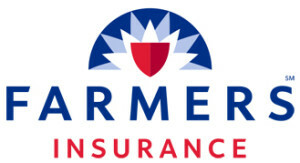 Here at the Chris Stauner Agency in Forest Lake, MN, as your personal agent, it will be my mission to keep you informed and aware of Farmers® Insurance products that may help protect what is important to you. I endeavor to help my clients tailor and develop plans that will suit their needs and protect their assets. At my agency, my client’s needs are my top priority. I want to be the agent who my customers want to send their friends and families to because of my dedication and tireless work ethic. 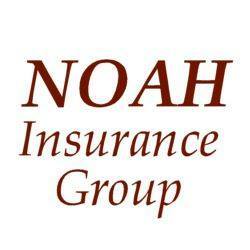 The Noah Insurance Group is a full-service insurance agency serving western Wisconsin and eastern Minnesota. Representing dozens of insurance companies, Noah has a market for most any individual or business need. Whether it be personal insurance for your car, home, life, or health insurance; insurance for your business, or employee benefits; Noah Insurance Group can help you determine the coverage you need, provide quality product options, all at a competitive price. At the Noah Insurance group, we take the time to listen and fully understand your needs. You’ll find that we’re friendly, accommodating, and very dependable. As a result, you get more than insurance, you end up with a relationship you can trust for years to come. Your employees depend on having the right benefits. So does your business. Help protect your employees with the cash to help cover their bills in the event of a covered sickness or injury. And now they can get their claims paid in just a day with Aflac’s One Day Pay℠. Offering Aflac is as easy as adding a new payroll deduction. After that, there’s no direct cost to you.